Audrey Lorraine Westphall was born on October 17, 1922, to James W. Westphall and Viola Moris, in Buffalo, New York. Her younger brother was named James Westphall, born in 1920. Her birth and death dates on IMDB are not correct – it states she was born in 1914, making her 30 years old at the time of her movie debut, which was a rare occurrence for starlets in Hollywood. Audrey’s father worked as a draftsman specializing in engines – her mother was a proprietor of the boarding house they lived in – they had one or two lodgers living with them at any time. Audrey grew up in Buffalo and attended high school there. She danced from early childhood, and this cemented her wish to become a professional dancer/actress. Shortly before she graduated, she left Buffalo for New York in 1939, hoping to achieve some fame and fortune. In the meantime, her parents divorced and her mother went to New York to live with her. She got some Broadway work in panama Hattie, and this catapulted her to Hollywood. Her mother, naturally, followed. Audrey never landed in the credited tier, and she was always in blink and you’ll miss it roles, so it’s impossible to say if she was truly untalented or she just didn’t land the break she needed to showcase her skills. Anyway, Audrey’s first role was an uncredited one in Frenchman’s Creek, a fun high waters romp with a lady pirate in the lead (played by indomitable Joan Fontaine). Next, she appeared in another Joan Fontaine movie, The Affairs of Susan, a witty comedy about the already mentioned Susan and her relationship with three difference men (who all see her as a completely different woman). The best of the trio is George Brent, not a particularly magnetic leading man but a wonderful foil for strong female leads. Audrey then appeared in a string go prestigious A movies. She first was Kitty, the lavish costume epic showcasing, first and foremost, the ravishing Paulette Goddard and her misadventures in the 18th century London. While Paulette was never a top actress, she had charm galore and could turn men into mush. Ray Milland is her capable support. Audrey then landed in a Betty Hutton movie, The Stork Club. I’m no big fan of Betty (I prefer more sophisticated actresses) but there is no denying she was an incredible dynamo and very amusing and her movies are likewise nice entertainment if nothing else. Audrey’s perhaps most famous movie is The Blue Dahlia, one of the best film noirs ever made, with the indomitable teaming of Veronica Lake and Alan Ladd. Audrey’s last really important picture was Blue Skies. The story is pure schmoock, but when you have Bing Crosby+Fred Astaire+music by Irving Berlin, do you need any more? Certainty not! They dance, they sing, it’s all fun and games and it’s your typical 1940s musical. Some support is added by the beautiful but wooden Joan Caulfield and the more able Olga San Juan and Frank Faylen. The rest of Audrey career was filled with mediocre movies. First came Dream Girl, with a surprisingly subdued Betty Hutton playing a daydreaming girl who meets a stone cold realist (played by Macdonald Carey) who tries to shake her out of her stupor. While not a well remembered movie today, it’s a nice film with good performances. That same year, Audrey was featured in Gypsy Holiday, a comedy short. Her last role was in Sealed Verdict, an unjustly overlooked post-WW-2 movie. it deals with tribunals of the higher echelons of the Third Reich army, and while it’s no Judgement at Nuremberg, it a surprisingly nuances movie with a sliding scales of gray morality so lacking in typical Hollywood lore. Ray Milland (once again) plays the council trying to establish the guilt or innocence of German General, played by John Hoyt. The incredibly beautiful Florence Marly plays a French peasant who testifies of some good deeds the General has done. Milland is left in highly ambiguous waters as he navigates a ruined country, just out of a terrible war and fraught with pessimism, bitterness and death. All in all, an above average movie. Hoyt takes the cake as the best actor – while Milland is his usual effective self, Hoyt has both the meaty role and the chops to pull it of. Audrey decided to give up movies and focus on her growing family. While dancing in New York, Audrey met Lewis Hightower, another dancer. The married in 1940, when she was 17 years old. Lewis Carlton Hightower was born on July 19, 1917, to Carlton Hightower and Nettie Owens. He moved to New York start a dancing career in the mid 1930s. His younger brother, William Hightower, would wed another dancer, the better known Vera-Ellen. At first, the Hightower marriage was an idyllic one. However, more than aware that her daughter was young and inexperienced, and wanting to help, Audrey’s mother came shuffling down from Buffalo and moved into their apartment. The honeymoon bliss ended. Things went south. By October 1941, the Hightowers were reconsidering plans to get an annulment (they married, separated and reconciled, all in one year). By late 1941, Audrey started to date Arthur Lewis, son of the “Banjo Eyes” producer, Al Lewis. There were rumors the two would center-aisle it when her decree was final. In February 1942, Arthur was spending his furlough time with Audrey and it was clear he was very serious about her. However, Audrey could not get a divorce so easily. She later told the papers about a incident – Lewis found her dining delightedly with two other young gentlemen in a festive spot. Hightower was supposedly disturbed by this sight. He allegedly attempted to carry Audrey out of this festive center. But the two young gentlemen, according to the popular story, persuaded Mr. Hightower to unhand Mrs. Hightower and gave him a few assorted black eyes to balance things. Audrey left her husband in disgust. She also said her husband is tardy with her alimony and suggested jail. Typical Hollywood mumbo jumbo divorce. It went on and off for some time, but the divorce never came. Why? Well, because, tragically, Hightower died on September 2, 1943, another casualty of World War 2. He and Audrey were separated for a long time by then, but it was devastating for Audrey non-the-less. As for Audrey’s relationship with Arthur, it lasted until August 1943, and that was the last we hear from the younger Lewis. Then, in 1944, Audrey met the man she was to marry. Audrey and David had two children: Gregory Enton Friedkin, born on May 23, 1946, and Anthony Enton Friedkin, born on May 26, 1949. By 1950 Her movie career over for sure, Audrey lived the high life in Beverly Hills with her husband, and they hosted many movers and shakers over the years. They were devoted Democrats and often had Democratic fundraisers at their home. Their son Gregory became a actor/playwright, and hung out with the likes of Blackie Dammett, the famous and father of Red Hot Chilli Peppers frontman, Anthony Kiedis. Their other son, Anthony, became a noted photographer. David died on October 15, 1976, in California from cancer. Audrey never remarried and lived the rest of her life in California. Audrey Westphall Friedkin died on February 6, 1999, in Santa Monica, California. Another great entry! And . 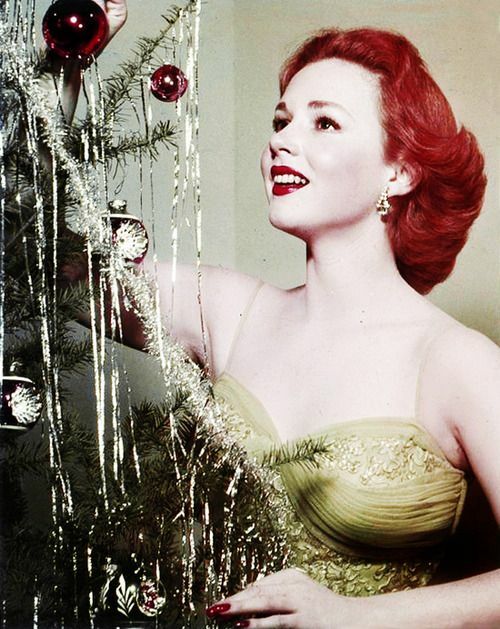 . . Piper Laurie, oh my.